“What is your favourite game?” must be the most frequently asked question game designers deal with when talking about games. How come, after having made up countless answers throughout the years, it is still so hard to find a satisfying answer? Because the question is flawed. Games are eclectic, impossible to group and even harder to compare. Genres range from keeping immense megalopoli afloat to racing through abstract figments of someone else’s mind at breakneck speeds. Different games for different states of minds, times of day and people around you. How can one expect to choose between that? Going further, a single game often contains a host of elements, both good and bad. Tell me, which is better: The game that you were unable to finish due to bland dialogue, even though the core gameplay loop is satisfying and universally acclaimed? Or the game with the ridiculed combat system of which the story brought you to tears upon completion? A game can excel in one element or only cater to a specific situation whilst totally missing the mark elsewhere; we must take that into account. Let’s stop looking at games as large singular rocks but hack down into them and uncover the gems inside them that are actually responsible for those nostalgia-fuelled memories played games are able to evoke. The memories that, up until now, have been mistakenly attributed to your 'favourite games’. A game gem is attained through examining a specific experience created by a game through chipping away at all aspects that do not contribute to this experience and isolating only what is responsible. What remains is the gem: A combination of elements/mechanics that contribute to the specified experience. Usually used in a positive sense. Origin unknown. One game may contain a host of different gems depending on who you ask and what that person is looking for in a game. Some of these gems consist of a single mechanic, whilst many of them are multifaceted. This is my list, containing a selection of gems that have affected me personally and were, in one shape or form, paramount in shaping the games I’ve worked on. There is a sense of progression and imbalance between the weapons. The AR2’s primary fire makes the SMG’s bullets feel like bb pellets and the .357 Magnum, though filling the same role as the pistol, is just in another league entirely. The lesser guns remain important due to the level designer limiting the ammo available for the superior guns, therefore keeping them special until the very end. The crossbow bolts are affected by gravity and drop down significantly over long distances. The SMG’s alt-fire and grenade arcs let the player lob projectiles over obstacles. The AR2’s alt-fire bounces at calculable angles off any geometry present in the level. The gravity gun’s damage depends on the weight of the thrown object, but also the distance the object travels before impact. The RPG launcher still needs to be guided after being fired, forcing the player to stand in the open whilst trying to get the RPG to track a moving target. Weapons like these causes players to develop a sense of familiarity with their more nuanced uses and requires them to make them their own. The weapons are surprisingly unique and create a sense of awe when used for the first time. They are a guaranteed way to create memorable moments and nowadays a wave of nostalgia. The crowbar is a testament and reminder to Gordon’s entire Black Mesa escapade. The AR2 rifle’s Bouncing Balls can, when expertly used, clear an entire room. The Gravity Gun is a fundamental part of a lot of non-combat situations like puzzles. The Pheromone Pods are able to transform an enemy into a valuable tool. Synergy with other elements create perfect situations for certain weapons. No matter how good your other guns are, the best way to deal with a head crab is the Crowbar and when you are stuck in a cramped building containing multiple fast-moving targets nothing beats the shotgun. The level design and enemies seem to be made specifically for this arsenal. Combined this creates an unparalleled range of weapons that are as fun to use today as they were when they were uncovered for the first time in 2004. Image: If you haven’t punted a toilet at someone with the Gravity Gun, you’ve missed out on a historical moment in gaming. Game environments are often mere backdrops of the game that is being played. 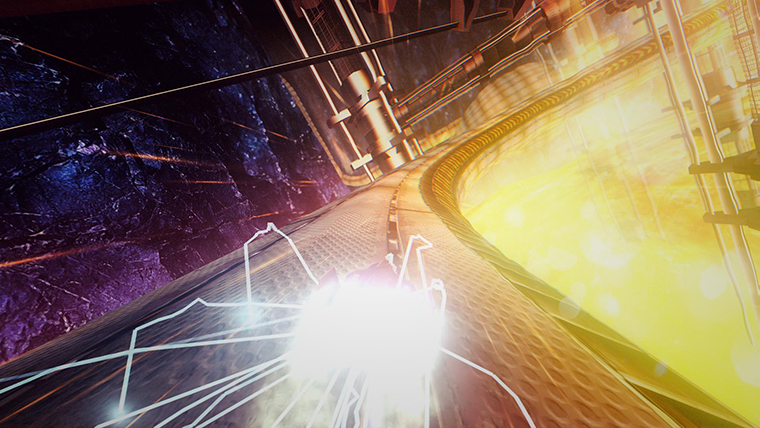 An abstract rendition of a factory with indistinct moving parts and loading screens that jump the player between physically unlinked areas. Though a lot a games are steadily progressing away from this, BioShock takes it a step further by presenting an environment that is masterfully woven both into the narrative and certain game design decisions. As a result, we have a convincing world that has people fantasising about how living in a world like this might feel. Note: I have chosen to focus mainly (though not solely) on BioShock Infinite for this gem, as I believe this gem has only improved as the series has progressed. Image: Battleship Bay is a prime example of this gem. Areas accurately convey function. There is a working public transport system, there are toilets and the plot exposes you to the different levels of Columbia’s (flawed) society. There is a link between narrative and design. A lot of the actions players can do in BioShock can actually be done by inhabitants of the world and serve to ground this fictional world. Image: These pretty bottles do not only serve a gameplay purpose. All BioShock games provide a setting that is a unique as it is thought provoking, it immediately creates investment and incites questions like: “What would it feel like to be in a city on the seabed?”, “What if this society hadn’t collapsed?” and “Would I actually consider living in a place like this if that was the case?”. The actual story is intertwined with the world design. The main narrative would not work in another setting. Both aspects are cleverly woven together and have a symbiotic relationship. BioShock’s world design is at times so successful that there have been points where I just wanted the combat to end so that I could continue exploring the setting and progress the story. It’s up to you to decide if that is a good thing for a video-game. From a world design perspective, BioShock has achieved something exceptional. A game is usually a complex union of systems that work together to create an entertaining gameplay loop. Carefully crafted to include ups and downs, a challenge throughout and ample hooks to keep you interested for the required amount of time. Remove this and not much is left. Unless we are talking about TrackMania. 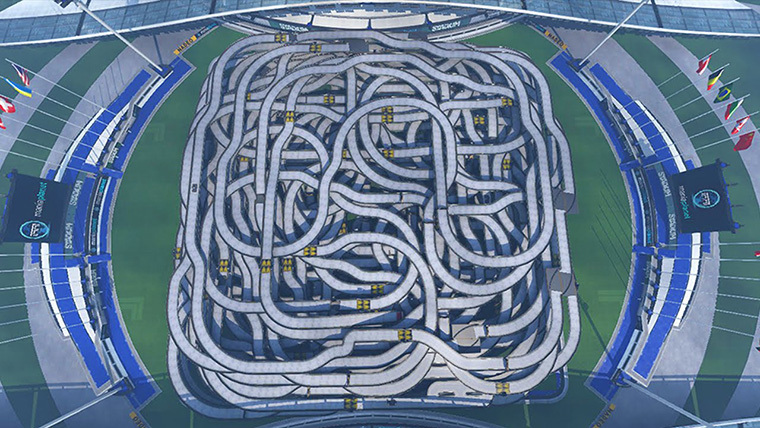 Outside of the main gameplay loop that is a tight and simple arcade racer, TrackMania provides both an in-game level editor that anyone can use to make levels, and a multiplayer mode that puts these custom levels mere mouse clicks away. There is no quality control and when I said anyone can make these levels, I mean ANYONE. TrackMania is a lawless place, a refuge for an endless amount of content, where anything is acceptable and you never know what to expect. Tracks range from mind-bogglingly complex snakes that loop in on themselves, to near impossible stunts that, if done right, can be completed within mere seconds. Anything goes, and as a result there are tracks out there where you just press forward, tracks that are infuriatingly maze-like and story tracks that use a plethora of custom sound effects, janky camera angles and incredibly jarring on-screen text. Most of these things are ‘not done’ in a regular racing game and a valid cause for frustration. In TrackMania it’s funny. I recall being on a LAN party where everyone had twenty minutes to create a track and we would bundle them all up in a playlist and play them together. The differences in the types of track were phenomenal. Some were really good; some were just awful. But nobody cared: It was a blast! …but in TrackMania it works. Note: This gem was conceived with the very first TrackMania game and was preserved throughout the series’ evolution. My palms are sweaty, knees weak, controller heavy as ‘Prey Slaughtered’ appeared on the screen. In this moment, I’ve got to admit: I shouted. Defeating a boss in any of the SoulsBorne games feels like an actual achievement akin to hearing the person you asked out would love to go out sometime or performing that elusive 360 kick flip! How does From Software do it? By creating a game where the gameplay, the level design and the setting work flawlessly together to make players feel either out of their depth, or in control. A punishing gameplay loop that awards actual player skill with progression instead of artificially increasing the player’s perception of skill as they progress. Learn to deal with the unknown through trial and error. Move on to the next unknown. The level design mimics this loop with levels that are complex and winding, looping back on themselves and changing through the discovery of shortcuts. As you explore, you find new connections and through memorising the area, former tricky areas become trivial. Bloodborne’s setting is a hostile place of nightmares, filled with horrors and awe-inspiring architecture that makes going around the corner an intense experience. The setting invokes a sense of mystery and creates freedom for the designers to use a wide range of fantastical environments and surprising encounters to suit their needs. Putting these points together results in a game that is a testament to working towards a singular design pillar and maintaining pinpoint focus on achieving this pillar throughout the development process. The licensed music amping up the mood, immense destructible set-pieces, controller rumble and motion blur. Combined with a single racetrack spanning the two North American coasts creates a sensory experience that no other genre does. 230 KP/H, speeding into a tunnel – the sound goes underwater and your engine echoes from the walls – bright yellow lights flash along your retina at a consistent pace. The trance is broken as you are met with a blinding white light as you emerge back outside, hurtling along a windy cliff side road. What’s that red and blue dance along the vinyl of my car? Oh shi-, no time to enjoy the scenery… It’s the cops! Need for Speed: The Run is a thrill that is all about feeling. Save your brainpower for something else. Here the only things you will need are a big screen, a surround sound system with solid subwoofer and willingness to give in to the ride. During the time I was immersed in World of Warcraft, it was full of memorable moments. Shared memories where avatars connected and, over time, actual friendships were born. People grouped up from all over the world and started exploring uncharted areas and vanquishing indomitable foes. On the popular Player-versus-Player realms leaving the safe starting areas may even result in a personal vendetta when that 'shared moment' is being killed by someone from another faction in Stranglethorn Vale. Even now, thinking back to my times in Azeroth, a lot of fond memories spring back to life, clear as day. I remember the people, and I’m certain someone far, far away, having moved on and living their life, still knows me. Note: This is about the systems of World of Warcraft present on its release in 2004. The systems I mention have evolved over time, or have in some cases been removed altogether to cater to an evolving audience. The highest rewards are locked behind challenges that cannot be undertaken alone. The hardest challenges required 40 people to coordinate and an entire evening to execute. Finding and grouping up with people required actual communication through chat-messages, there was no system for finding players with the same dungeon ambitions as you except for area localised chat. 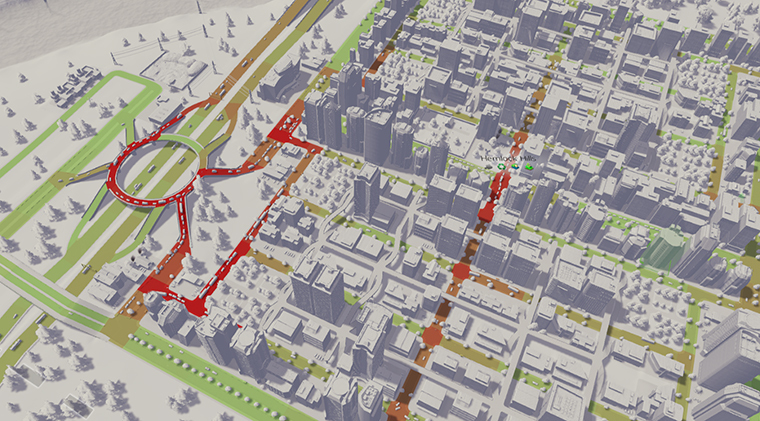 This forces players into the capitols to find each other creating bustling cities, full of activity. 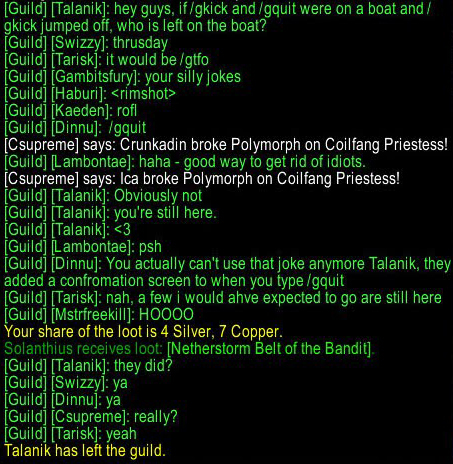 Guilds had a better chance of overcoming hard challenges and resulted in people banding together, within these guilds, players found close-knit communities and serious responsibilities. Guild chatter would fuel shared goals, keep you in the loop of the ever-changing meta and eliminated the need to acquire information through external means. On PvP servers differing factions would have the freedom to attack (and not attack) each other. If fights started people would ask for help and all out battles could manifest, bringing those of the same faction together in the pursuit of bringing down a mutual foe. There were also fragile moments of peace where both the Horde and the Alliance would be questing side by side, in the full knowledge that at any time they could feel a dagger in their back. Different factions used different languages, requiring, like in the real world, communication to be attempted through emotes/signs whenever a friendly foe showed up. Everything was new and people would have to ask each other for advice. Whilst making a quest destination hard to find in your average shooter is cause for frustration, here it brought people together and created friendships for the duration this fantastical world was being uncovered step by step. Social contact is a powerful thing and can make a game experience genuinely meaningful. Game designers have a lot of power in dictating how communication is done and as a result, the designer becomes the director of these interactions. 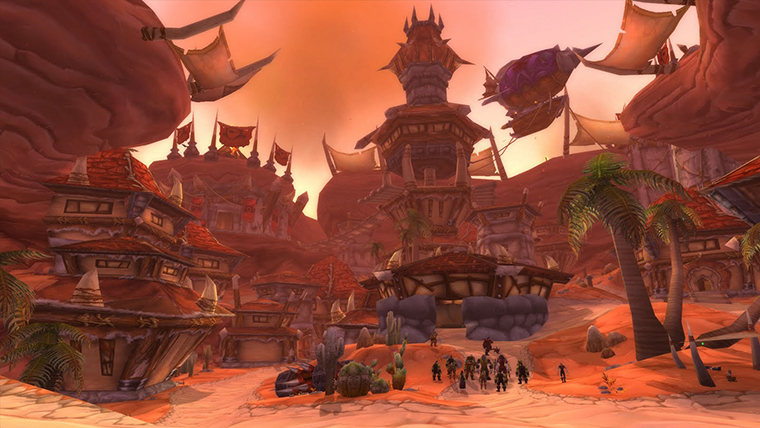 Blizzard knew this and has designed WoW’s systems accordingly. Don’t deny it. You’re getting that itch too. The start is where you imagine and make meaningful choices that will affect your game. Long term goals are set, though not always adhered to, and the future is in your hands. The game promises great adventure through success and adversity. Building towards a specific victory and developing a plan to make that succeed. Finding the ‘perfect’ spots to expand and found cities, with ample luxury resources, a well defendable landscape and the correct geological features required for the specific direction you’re taking the civilization. Image: The tech-tree allows the player to come up with long term goals. Smaller short-term goals counteract the bigger choices pertaining the future and facilitate periods of cognitive respite. Finding and claiming ruins for immediate rewards. Defeating nearby barbarians to keep your still fragile citizens safe. Possibilities are limited due to most of the map being covered in fog of war. The world, at this point, is untarnished and bountiful. However, in order to be able to succeed in both the long and short-term goals the world needs to be explored. As a result, opportunities fan out in a natural way. When the game progresses and most of the map is charted a lot of this ceases to exist. Plans can no longer be changed and colonies have started to envelop each other creating friction around the globe. A tactical layer remains and what I’ve spent countless turns working on is within reach. But I just want to start again. This is a just a handful of the many gems that spring to mind when I initially started work on this article. Keep in mind that gems are going to be different for everyone and the experiences listed above have been chosen solely because they had a meaningful impact on me. Think for yourself: “What are your favourite games?” Now ask: “Why is that the case?” Maybe it’s building a base in Red Alert 2 that features both Allied and Soviet units due to capturing an enemy construction yard with The Engineer or the Battle-lines that form when playing 3-v-3 online in Dawn of War II. When a gamer actually starts thinking about what makes a game fun, it can be hard to define and be the result of a gut-feeling. Us game-designers know better: There are very specific elements in a game that, if done correctly, work together like a well-oiled machine to create an entertaining experience that stays with us forever. Thanks for reading! Feel free to contact me for questions, comments and discussion.